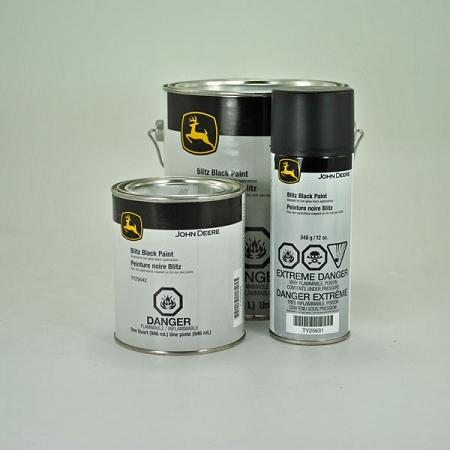 John Deere ( Low Gloss ) Blitz Black Paint. Available in 12 Oz. 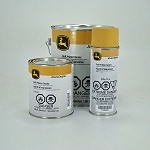 spray cans, quarts and gallons containers. I purchased this paint because I had read that it matches the Harley Denim Black paint of my FatBoy. I had to purchase a used Vivid Black fender for the back of my bike because even with insurance I couldn't afford a new fender after it was hit while parked. I hate people. Anyway, It is an amazing paint. It looks so close that I can't even tell the difference. I am buying more of it so I can repaint my tank as well. Thank you John Deere, It's a really great paint. this is great looking paint on a rat rod hot rod offroad truck. and holds up well and for a long time. easy to touch up,and is very cheap. Painted My motorcycle with JDBB and the results are Awesome. Used JD primer and after two days I wet sanded the primer to a glass like finish the waited another 24 hours and layer do one tack coat then one full wet coat. Finish looks amazing no Orange peel no drips no runs no errors. Take the time to prep the item correctly and what you end up with looks like a professional custom paint job. 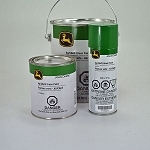 Excellent items, I used the rattle cans to shoot inside all of my door jambs to prepare the truck for painting. Now I'll order a gallon to shoot the rest of the truck. I shot the bottom of my 17ft fiberglass boat with this paint. Definitely use the hardener if you are looking for maximum toughness. I learned how to shoot paint with a cheap 15 dollar gun and was happy with the results. 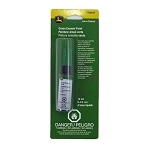 Make sure you ONLY USE XYLENE/XYLOL to reduce and clean up with. Mineral spirits or paint thinner will cause it to gel. Tip, paint the first coat, and then the second immediately after to help it flow to a smooth finish and avoid over spray lines. I had to spray outside underneath a large tarp to keep the sun off my work. One quart covered my boat with one coat, I did 5 total coats over 2 coats of primer.